A rare look inside the new Ferrari factory where they are building the Ferrari FF, the first four-wheel drive Ferrari with four full size seats. The FF’s 12 cylinder engine is one of the most powerful engine ever built at the factory in Marnello with 651 Horsepower. The engine block is actually cast there and must go through multiple quality checks before it’s ready to join the final assembly line. The FF’s unique four-wheel drive system uses a seven speed dual-clutch manual transmission which sits at the back of the car to off set the weight of the V12 engine and achieve better total balance for this unique vehicle. 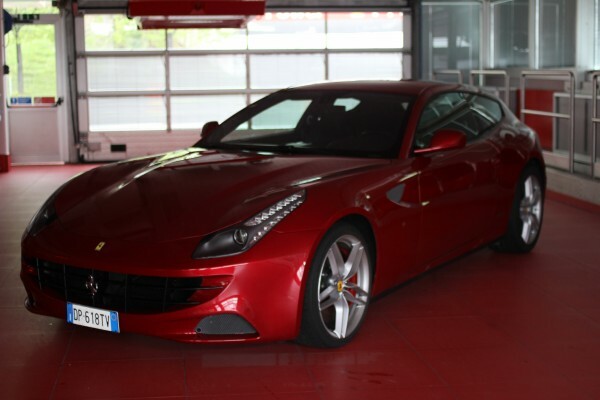 There is a second transmission at the front of the engine and this is the unit that makes the Ferrari FF’s four wheel drive system revolutionary. Ferrari emphasizes that its four wheel drive system is intended primarily for all weather capability. Normally the FF sends power from its from mounted V12 just to the rear wheels.